Peter Aprile and Natalie Worsfold interview Jordan Furlong, leading Canadian analyst of the global legal market. Peter, Natalie, and Jordan discuss Jordan's first book, Law is a Buyer's Market: Building a Client-First Law Firm. They dive deep into the business of law, law firm (mis)management, lawyer substitutes, and how law firms need to change to meet and manage the demands of the shifting legal marketplace. build sustainable and competitive legal enterprises. He helps lawyers think differently about the services they provide and counsels law firm leaders about re-engineering their firms’ purpose, strategy, and operations. Jordan has addressed dozens of law firm retreats, lawyer conferences, judicial conventions, and regulatory summits throughout the United States, Canada, Europe, and Australia. He has authored hundreds of articles and several short books and white papers that analyse the rapidly evolving legal market and illuminate the forces and trends driving change in this environment. A graduate of Queen’s University Faculty of Law in Kingston, Ontario, Jordan engaged briefly in the practice of law in Toronto before starting an award-winning career as a legal journalist, culminating in a decade as editor of three leading Canadian legal periodicals. In 2007, he launched Law21: Dispatches From a Legal Profession On The Brink, which has won multiple awards as one of the premier law blogs of the last ten years. Jordan is a Fellow of the College of Law Practice Management and has served as chair of the College’s InnovAction Awards. He is the Strategic Advisor in Residence at Suffolk University Law School in Boston and serves as co-chair of the Board of Directors for its Institute for Law Practice Management and Innovation. 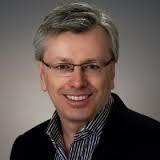 He has taught or guest-lectured in courses at Suffolk Law, Queen’s Law, and Osgoode Hall Law School in Toronto. He serves as a volunteer advisor to Law Without Walls and is a member of both the Advisory Board of the American Bar Association’s Center for Innovation and the Policy Advisory Board of Responsive Law. 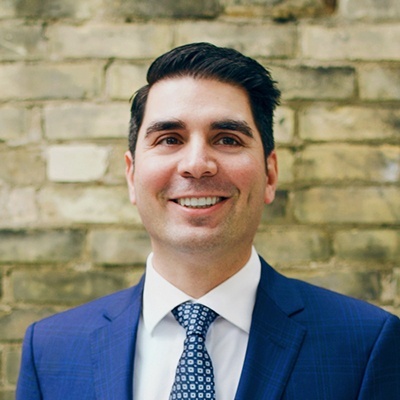 Peter Aprile: [00:06] Hi, and welcome to Building New Law, Canada's first and only CPD accredited podcast. It's hosted by me, Peter Aprile and my colleague Natalie Worsfold. Peter: [00:23] We hope that the podcast connects new law community, and helps us all learn more about the approaches that are changing the way that we practice law. Natalie: [00:30] To learn how you can use this podcast to satisfy your law society CPD requirements, visit our website at countertax.ca/bnlcpd. That's countertax.ca/bnlcpd. Peter: [00:40] Enjoy the show. Sponsor: [00:43] The Building New Law podcast is supported by counter tax lawyers. A new type of tax controversy and litigation law firm. To learn more about counter, go to countertax.ca. Natalie: [01:01] Today we're speaking with Jordan Furlong. We suspect the most of our listeners are familiar with Jordan's work, and hopefully you've come across one of his articles, short books, white papers, and his blog, Law21, dispatches from a legal profession on the brink. [01:21] Jordan is a leading analyst of the global legal market and a forecaster of its future development. Law firms and legal organizations often retain Jordan to advise their lawyers on how to build sustainable and competitive legal enterprises, and to understand why the legal service environment is undergoing such radical change. Peter: [01:38] In March, Jordan released his book, "Law Is A Buyer's Market." Jordan was gracious enough to send us an advance copy. As you might expect, we immediately poured over it. If you haven't picked up a copy of Jordan's book, listen to the podcast, do the CPD, and then go get a copy of Jordan's book. [01:55] It's a really great book for the lot of insight and applications. Natalie: [01:58] Quite frankly, there was so much we wanted to talk about that we've actually split this episode into two episodes. Peter: [02:05] Here's part one with our interview with Jordan. Natalie: [02:06] Jordan, we're here to talk to you about your new book, Law Is A Buyer's Market. [02:15] Before we get into the details of your book, I think, it's really important that people understand who you are, and why they should listen to you. Could you just tell us a little bit about your background, and why people, particularly lawyers, should be reading your book? Jordan Furlong: [02:29] Thanks very much, and number one, thanks for having me on the show today. Really appreciate it. I can definitely tell you who I am, whether or not you should listen to me or not, well the jury we'll be on that one for a while. [02:40] I am trained as a lawyer, spent a very brief amount of time in the practice of law, and by very brief, I mean that I did my article in year on Bay Street, which was a mutual unsatisfying experience for me and the firm, especially for the firm. Jordan: [02:57] Then, made my way, eventually, into legal journalism. I spent about a dozen years there, mostly as an editor of various publications. During that time, I developed, first, an interest, and an abiding fascination with the business of law, and with the market for legal services. [03:14] It seemed to me that, we weren't talking a lot about that. We talked a lot about the legal professions, and how lawyers should go about their work, but we weren't talking about the clients. We weren't talking about the landscape or the environment in which legal services were purchased and sold. [03:30] I began writing about that, first, in a blog called Law21, and eventually, in longer articles, white papers, and reports. I began doing speaking appearances and talking to law firms, law societies, state bars, courts, other groups. That's what I do now. [03:45] I call myself a legal market analyst. By that I mean, I make it my job to understand, as much as I can, what is happening, both inside and to the market for legal services. What are the forces acting upon it? What are the changes taking place within it as a result? Where is it all going to take us? [04:06] Based on all that information, then, I try to provide the advice, or guidance, or suggestions to law firms, and lawyers, to say, "Based on all of this evidence, based on all of this information, this is what I think you all should be doing right now." That's basically what I do. Peter: [04:21] How are you gathering that information? Are you going to law firms themselves? Are you sending them surveys? Are you going to have in depth conversations with people that consume legal services? Can you tell me a little bit about that? Jordan: [04:33] It really is a range of sources. One of the things I do is, I keep on top of a lot of legal news, outlets, both in the US, and here in Canada. There's a lot of people who write and speak, in this area that I respect, and I find have some really good insights. I try to review their work, assess it, and consume it as much as I can. [04:53] A lot of it, yes, it does comes directly from speaking with lawyers, and sometimes that's on the ground, at conferences, or when I'm actually in a law firm doing some work in a retreat, or something like that. I think you need that range of perspectives, but fundamentally, the client's voice is the most important. We need to amplify the client's voice. [05:13] Those are the perspectives, I think, that are the most important. Natalie: [05:16] Some of them have a pretty grim view of the future of the profession. Is your view different, and if so, how? Jordan: [05:22] There's certainly a grim dimension to it. Among the roots that we can all find ourselves rolling down, are a couple which are not great for lawyers individually, because they forecast the destruction, I guess, of the legal profession. The rise of "non‑lawyers," machines, and all these substitutes for lawyers. [05:42] Not really great for the profession, obviously, but also I think, fundamentally not great for the market either. [05:48] I want to see more providers of legal services in the market, not fewer. I want to see a greater range in diversity of providers. [05:56] One of the things that the market could really use, frankly, is more price ranges, more price points, more market sectors being focused upon. We're starting to see that, but to swing back to your original thought, there are certainly possibilities that are deeply negative for how this might all roll out. [06:13] Even in the rosiest scenarios, there's still going to be damage. Perhaps even significant damage to the traditional practice of law, and to the ranks of the legal profession. I'm not sure there's much we can do about that, but my overall perspective, largely, is an optimistic one. Peter: [06:32] That's how I view it when I read your writing and when I read some writing from some other commentators and contrast that with yours. I think to myself, in some of those doom and glum views, and I agree with you that some of that is certainly warranted, but it's just not helpful. [06:46] It's just not helpful to bring about change, and what I like about what you're writing as well in this book, Law Is A Buyer's Market, is there's some warning in that regard and some sense of that, but there's also some practical insights and some ways that lawyers can actually take action. I find that to be very valuable. [07:01] We'll get into that a little bit more as we go along. I wanted to start by poking a little bit of fun at you, and calling you a futurist. Peter: [07:10] I've heard you made that point before and I chuckled, so I'll just teed up for you. You're a futurist, right? Jordan: [07:16] [laughs] Not if you ask me. If you ask other people, yes, by all means. Several years ago, I gave a presentation to the partnership board of a large US law firm about like, 20, 30 lawyers in a room. [07:29] At the end of it, the person who'd recruited me, the marketing director said, "You know what? If you would just call yourself a law firm futurist? You would never hurt for work. You'd be employed from now, until doomsday," and I said, "I just can't bring myself to do it". [07:44] Especially over the last couple of years, and I've made this point, occasionally I still get introduced, "Here's Jordan Furlong, he's a futurist of the law." [07:51] I'll get up there and I'll say, "Well, thanks very much for the introduction, I appreciate it, I should advise you that I actually think I'm a futurist, I think I'm a presentist," because what I'm talking about with you today is not down the road, it's not coming down the pike, it's not all these expressions of someday, it's right now. [08:09] If you think of this as the future, then you will build in a certain amount of padding, in terms of, "OK, well, I better keep an eye on that." Whereas, no, this isn't back burner. This is like, now. Now is the time to get after this and to deal with it. Peter: [08:23] You talk about that law firms need to do this, but the essential question that I have is, why should we care whether law firms do this or not? If we believe, or if people believe this is the pass to survival, why should we care that law firms save themselves? Jordan: [08:38] I think that the traditional law firm model can't be saved. Not only that, I don't think it should be saved. I want to council you against trying. [08:49] I'm not saying that the firms themselves deserve to die. I'm saying the models that underlie the firms, they have run their course, and they're not working anymore. You can save a firm, or a brand, or the entity, and I don't think you need to sacrifice that. [09:06] There are examples of businesses that can re‑engineer themselves, that can change their business model, but the company remains fundamentally the same. [09:14] You look at a company like IBM, which is unrecognizable from what it was, even 30 years ago, and it's still one of the world's great companies, but it does something very different now. Not many companies can do that, there's a lot more blockbusters, border's bookstores, and there are IBM's. [09:30] What I'm interested in is, I want better models by which legal services are delivered, by which the companies and the entities that are delivering legal services operate. We need them, we can have them. [09:43] If current present day firms are able to reconstitute themselves, and I think that they can with enough effort and enough patience, along these lines, then they can continue on. They've gone to a higher level, they've moved up. For me, that's what's important, improve the models. If the firms come along for the ride, great. [09:59] If the firms can't manage the transition, there's other firms that can develop it in their place. Peter: [10:04] You think the firms can manage the transition? Jordan: [10:07] I think it's hard. [laughs] It's not just theoretically hard, because again, we're talking about changing the way in which services are delivered. Peter: [10:16] We're talking about ripping down the partnership model. Do you see any different leads in that? Jordan: [10:20] Oh no, absolutely. The partnership models works great for firms of a certain size in a market of a certain nature. You talk about firms with scores, or hundreds, or thousands of lawyers, it just doesn't make sense to me. [10:36] In a way, the partnership model isn't even the hardest part. [laughs] It isn't even the most difficult part, of the way the law firms operate. For me, the problem's not so much the nature of the people who own it, and into the way they necessarily run it, although management is a big part. The nature of it is, what are we actually in this to do? Whose interests are we ultimately serving? Natalie: [10:56] We hope you are enjoying the podcast. We wanted to take one minute to tell you about a new segment that we're adding to the end of each episode. It's called, "I am building new law," and it gives you the opportunity to share what, and how you are changing the practice of law. Peter: [11:14] If you're building a new law firm, legal tech company, or product, we want you to record a message and tell us all about it. Natalie: [11:22] Just go to countertax.ca/iambnl. Click on the voicemail button, and tell us what are you building and why. Peter: [11:29] And now, back to the show. Peter: [12:35] Getting back to what is changing the market, you talk in your book about the lawyer substitute. Can you talk a little bit about that? Jordan: [12:43] For me, that's the key to the whole thing. You talked about, are the firms salvageable? Are law firms so tight to their destiny, as hotels for lawyers, which is what 99 percent of them have been forever, that they can't escape the whirl pool? [12:57] I don't think so, and I think that's why lawyer substitutes which present themselves, the first time a lawyer sees a substitute coming up, the lawyers says, "Oh no, this is bad news for me," because the substitute, of course, is in economic terms. It is any entity, or product, or service, or what have you, that will deliver a similar service to an incumbent, to another provider that it doesn't really matter which one you use, the costs are the same. [13:23] The joke analogy I use in the book is, if you consider McDonald's and Burger King to be basically the same thing, that's a perfect substitute. We don't really have them in the law, but we have partial substitutes. We have them in terms of technology, and we're seeing all of this now with artificial intelligence, AI driven, due diligence programs, contract review, E discovery, and so forth. [13:43] This is a substitute, not so much for the lawyer him or herself, but for the function that the lawyer carried out. If I can pay this one lawyer to do this job at 300 bucks an hour for 5,000 hours, because it's a huge job, or I can get this machine to do it, a whole lot faster, a whole lot cheaper, that's an effective substitute. That's a fantastic substitute. Peter: [14:05] I just have one question about what you just said. That is about the lawyer's perception of the substitute. In my experience, and I wonder what your insight is in this regard, lawyers that I've been speaking to, even lawyers of my generation, don't seem to view substitutes as a threat. [14:23] I had a lawyer say to me, "Hey, look the greatest computer in the world is the one between my ears." Peter: [14:27] I know you believe that they should view this as a competitive threat, but our lawyers viewing it this way. Jordan: [14:34] I just got to say that is the most lawyer‑ish quote you could possibly find. Peter: [14:39] I really hope he's not listening to the podcast, but there you have it. Jordan: [14:43] If he is, I'm sorry, but we can have a separate podcast on the pathology of lawyer's self‑regard. It depends on the area in which you're working. If I talk to a Senior Litigator or a trial lawyer, I can script the conversation before it happens, "Well, you know, no computer is ever going to the court room, address the jury, and persuade him to try or affect, I'm not concerned." [15:05] I'm like, "Of course they're not going to do that, nobody's saying that, but that's not the only thing you do. I guarantee you, that a computer is going to take this long trail of discoveries, and motions, negotiations, and you and the lawyer on the other side, pounding each other over boardroom tables for two and half years, they're going to take that work, and they're going to eviscerate it." "[15:27] Because, what you do is inefficient, it's not especially effective, and there's a better way to do it". [15:33] What I find is, it depends the lawyer you talk to. I gave a presentation to State Par in the US recently, where a lot of solo small firm lawyers general practitioners, and many of them are petrified of LegalZoom and Rocket Lawyer, because they see those as competitive threat. They are selling their services for less than I'm charging. I don't know how to charge less for what I'm doing. [15:57] Their first reaction is, "Put them out of business, crush them, unauthorized practice of law." That's obviously not going to work. Those people, yeah, they are deeply concerned. [16:07] Associates who no longer have jobs, they're concerned, because the work that they use to do, the work that I did, article in student, 1993. I was the guy going through boxes and boxes of stuff for a merger, or a lawsuit, or something like that. [16:20] There's maybe about 20 percent of that work is left for associates, but that's pretty much about all. It's going to be less and less of the going forward. [16:28] I do agree with you on this point, even if they do experience that kind of displacement, they don't often recognize the cause of it, they don't see it as the idea that something has come along, which can do this job, as well as, I can possibly better, but faster and cheaper. [16:46] They don't see that partly, because they don't have a big picture of you with the whole market, and partly, because for someone who believes that the greatest computer in the world is between their ears, they can't handle that. Peter: [16:56] What we're keying on here is, the difference between how law firms and accounting firms behave, in particularly the big four. You talk about this in your book as well, the idea that traditional law firms have few sources of revenue, other than lawyers, if any. [17:10] The big four has taking a different approach and has a different model. Can you explain that contrast a little bit? Jordan: [17:16] Yeah, absolutely. I have yet to hear a client say, "I hired the accountant, not the firm." It just doesn't come up. [17:23] I work with accounting firms, I work with large accounting firms. If Bob leaves and Jane comes in to replace Bob, I'm not especially fussed about that, because I didn't hire the accountant, I hired the firm. As you hear, all the freaking time, from lawyers, and too often from clients, "I hired the lawyer, not the firm." [17:41] This comes back to this idea of substitutes that can actually deliver legal services with minimal, or measured amounts of input, and involvement by lawyers. Peter: [17:53] Because, we're looking at this from a buyer's perspective. That's the idea behind your book. How have accounting firms manage to do that? How have accounting firms manage to market themselves in a way that the buyer understands that that's the real value, and not the individual? Jordan: [18:08] They've taken a whole bunch of different steps. It helped that they started from an easier launch point than lawyers do. I know a lot of lawyers, I know, maybe, not quite as many accountants. I would have a hard time thinking of many accountants I know, who would say, "The greatest computer in the world is between my ears." [18:26] There's a level of ego involved with the lawyers. Maybe for accountants, it is not quite as omnipresent. The elitism of their position is not a deep part of their cultural identity. Even for all that, I think, what the accounting firms, especially the big ones have had, number one, they've had scale. [18:45] They have scale, they have size, they have money, and they are not unafraid to spend it, whereas your average law firm, basically, breaks the piggy bank open every year, dumps all the coins out and distributes it to everybody. [18:58] There's more of an interest within the big four accounting firms in making this kind of investments. That's why I think they're ahead of us on that score. Natalie: [19:05] Those models and the lawyer substitutes that you've been talking about, you mentioned lawyer proofing a firm. Can you tell us how this would tie in to, I guess, that vision of a firm that could operate with a lesser legal role? Jordan: [19:17] A lawyer proof law firm would be one, in which, for the most part, there are always exceptions, right? Out of every 100 lawyers in a law firm, the number that is absolutely invaluable, indispensable to the firm's continuous existence, five, six maybe. [19:34] You want to get to the point in the law firm, I believe, if a lawyer decides to go, like a middle of partner, the client doesn't automatically go with the lawyer. It's the fear that drives so much of law firm management is, "We can't do A, B or C, because then Jane, or Bob, or someone, they'll give up and go, and the clients will go with them." [19:56] That is an unacceptable, strategic vulnerability for law firms. [20:00] I cannot afford to have a factory where two of my wheelhouses, and five of my engines, one day decide, "You know what, we're going to go work at the factory across the street." I can't have that. [20:11] If they are that indispensable, I need to make them as dispensable as I can. Lawyer proof law firms, makes investments in these kinds of systems. Systems that can generate work, independent of the act or involvement of lawyers. It makes investments in the brand of the firm itself. [20:27] One of the reasons that clients already said, "Hire the lawyer, not the firm," is that the firms has always been very distant. The firms just a name on a letter head, and clients have always sensed that. [20:38] When the firm becomes stronger as an enterprise, when the brand is improved, when the market communication is improved, when the client has not just one point of contact, Bob or Jane, but has several points of contact within the firm. When Bob or Jane moves on the client at least, stop and say, "Do I really want to give all that up too?" [21:00] These folks, they give me a free online CLE every single month, on a topic that I choose in advance. They allow me to access their law librarians, five times a month, for any question I might have on this issue. They have all these things that the firm provides, in addition to the individual lawyer. [21:18] The more you have of those tendrils reaching up for the firm, and racking themselves around the client, or that the client reaches into the firm and says, "I want this, this, this, and this." One of them leaves, such as the lawyer, "Well, sorry to see you go, Bob. I liked working with you, but you know what? Here comes Jason. Jason's fine." [21:36] The firm has to be stronger as an entity, as an enterprise, and it has to be there, not for the personal and financial fulfillment of its most senior partners and rainmakers, but for the clients that it is serving and for the good of the business itself. [21:51] That is a mind shift change. That's the hard thing to do. Once you've made that shift, then the process becomes easier. Peter: [21:58] Yeah. I think that's a great point in your book. One of the things that you say, in terms of making law firms stronger enterprises is, is you talk about the separation of ownership and management. Can you give us a couple of words about that? Jordan: [22:12] This is for pretty much every kind. Ownership is usually divided from management, management is usually divided from labor. Partly, because you want people to specialize, but partly also, these roles have inherent conflicts of interest. [22:24] What is good in the short term interests of workers, is not always in the good short term interests of ownership, but law firms, for the most part, owners, managers, and workers all the same people. [22:38] That has led to a whole bunch of problems, including the fact that lawyers for the most part are poor managers, either of people or processes, which is why, among other reasons, law firms are not very well managed for the most part organizations. [22:52] What you end up with, is a situation where, when you don't separate these roles out, then the interests of the firm, become the interests of a very small group of influential shareholders. These are people who, they are in a position to rearrange the workings of the firm, to their own interests. [23:12] If you had a professional business infrastructure to law firms, that would help. Of course, the biggest, almost, immovable obstacle to make any real change that regard is that law firms, in this country, and in most other places, the only equity owners may be lawyers themselves. [23:29] I talk about in the book, and I've written in my blog, how I think that is also unsustainable. [23:34] Right now, today, its lawyers, bar groups, bar associations, they are leading the church to defeat non‑lawyer ownership of law firms. 10 or 15 years at the outside, they'll be the ones calling for it, because law firms will desperately need equity, desperately need financial cushions to be able to compete against all the other deep pocketed organizations out there that are barging their way into the market place. Natalie: [23:40]So if you can't tell, we really enjoyed Jordan's book and we strongly recommend everybody picks up a copy. You can buy a copy online at Law21.ca/books and we'll also include a link in our shownotes. [23:47] As we said at the outset, we've split this into two parts. We look forward to you joining us again, next month, for part two, of our conversation with Jordan. Natalie: [23:50] Don't forget to stick around until the end of the podcast episode to hear a listener's "I am Building NewLaw" story. [23:55] For this episode's show notes and transcript, and how to satisfy your law society CPD requirements, please visit our website at buildingnewlaw.ca. 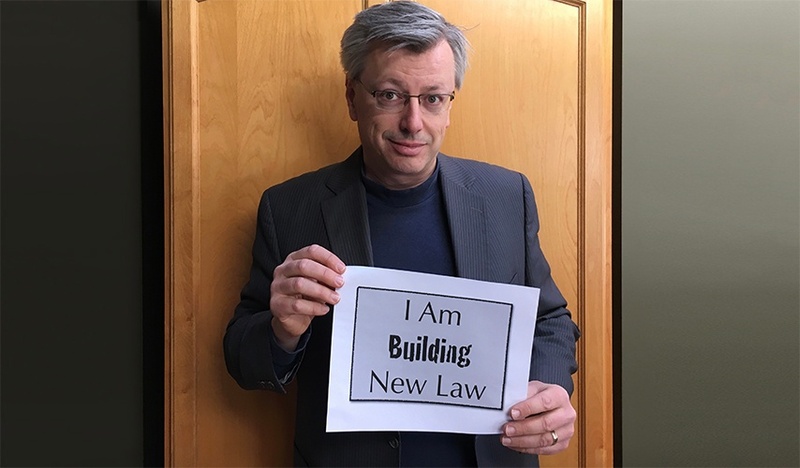 We'd love to hear from you, and if you have any feedback, feel free to send an email to info@buildingnewlaw.ca, or come and find us on twitter at buildingnewlaw. [23:59] Don't forget to subscribe on iTunes, our website, or wherever else you get your podcasts. Peter: [24:02] Now here's Bay Ryley. 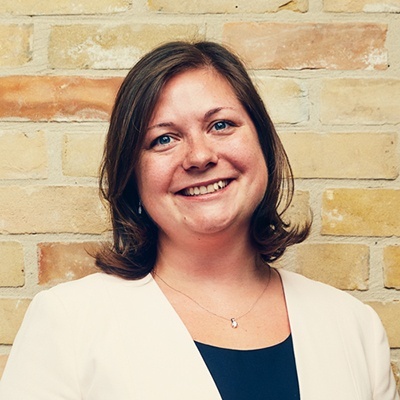 Bay is an employment lawyer in Toronto who also started Ryley Learning. Which creates animated, engaging, and interactive digital workplace learning videos. Here's Bay. Bay Ryley: [24:14] I've created an animated course. It's for employers to provide training to employees on workplace sexual harassment. [24:24] I'd been talking at conferences and to clients about the new legislation that came into force last September. And people were looking for solutions and saying: "do you have any good training materials?". [24:40] And, unfortunately, I had to answer: "No. There's a lot of really bad videos and PowerPoints". [24:45] That prompted me to create a forty minute course. So, there's four ten-minute episodes. [24:49] The point is to teach people to be able to identify sexual harassment and know how to respond if it happens to them or know how to respond if they are a manager and they have to deal with complaints. [24:49] We see the front of the paper is constantly covered with stories about sexual harassment at big organizations that you think would be able to handle this. [25:00] So, I'm hoping to make a safer workplace and I'm hoping that they really get it and understand this. Rather than everyone's got their policies that sit on a shelf, that's not useful, and that's not going th change toxic workplaces. Sponsor: [25:20] Thanks for listening to the “Building NewLaw Podcast” brought to you by Counter Tax Lawyers. To learn more about Counter, go to countertax.ca. Lawyers that have completed the S02E06 BNL CPD can claim a 25-minute Professionalism CPD credit. To access the S02E06 verification examination click this link.